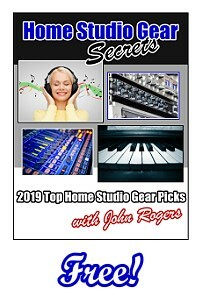 Learn Audio Mastering in 2019! entire 5+ Hour Course For Only $29! Offer ENDS JAN 1st at Midnight! 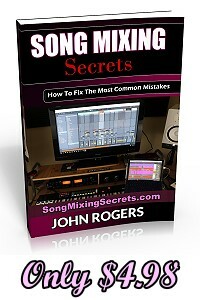 Hello, my name is John Rogers owner of JR mastering and author of the current #1 Best Selling Audio Mastering Book on Amazon.com which is now available in a video course! Since 1999, I've mastered over 40,000 songs for over 7,500 clients. I've mastered music for grammy award winners, several songs I mastered charted #1 and top 10 in Europe, and my masters have been played by DJs in many major cities all over the world. Why am I telling you this? Because I know audio mastering, and I would like to teach you everything I've learned since 1999, in only 5 hours! Less if you want to know about only your genre. It's not a $20,000 two year class, or a $3,500 6 month course (a total waste of money), I will teach you everything you need to know in audio mastering in only 5 hours! This course and the PDFs took me over 1.5 years to create. This is some serious stuff! All for UNDER $50!!! Also, a few clients only watch the Step by Step Mastering Session videos and found that was all they needed. (though I recommend you should watch/read the entire course). Several videos that fill in the missing pieces that are not in other parts of the course. 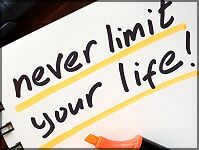 Tips, advice and absolute LAWS that you cannot break. Break a few of these laws, and I will guarantee your CD project will be a disaster. 45 minutes of strong advice. The types of processors I used to master over 40,000 songs. In audio mastering, we work in Bands. Here's a quick overview. This is the first step in audio mastering (after importing the song). How do I get all my songs the same volume? How loud is my song supposed to be? Is my song too loud? All these questions are answered in this quick 8 min video. I've listen to over 1,000 clients attempts at mastering, and masters from other studios (some charging $100 a song). 75% of what I heard, they have NO CLUE how to compress a song. Usually, they don't apply any compression at all (they just make the song louder and call that mastering) and the song breaks up miserably when played back loud. Or the extreme, they compress it to death and it has no dynamic range and it's distorted. In this video I explain what compression is, your goals, how to use compressors, everything you need to know about compression in audio mastering is in this 20 min video! Which processors are used for EQ? Most people don't know a compressor is one of them. When do you use them, what are your goals, what's the difference between EQ and spectral enhancement? Almost a half hour of priceless information you want find anywhere else. My step by step mastering session videos show live mastering sessions of 10 songs. 1 Hard Rock, 1 80s Rock, 1 Pop Alternative, 1 Santana-ish, 1 Pop Dance, 1 EDM, 1 Chill EDM, and 3 Rap/Hip Hop. You'll see the methods I use when mastering are very consistent steps that you can quickly pick up and learn. I also include bonus tips and advice while going through my step progression. This video brings everything together, when you can actually see me doing what I've talked about earlier, and what you've read in the PDFs or in my book. I've worked with sooooo many clients and studios. I've heard their mastering attempts. I've read 1,000 blog posts and watched 100 hours of free youtube video made by guys with "very little" commercial mastering experience or they're a kid living in their mom's basement (usually both). That all being said, if you read my PDFs (why not buy the full book too) and watch all of my videos, I can just about guarantee you will be better than 75% of the audio mastering engineers online! This includes some from major recording studios. I know this because I've heard their masters and 75% are clueless in several major areas, and you will know more than them. Now, I can't exactly "guarantee" results. That's like someone selling exercise videos and guaranteeing you will lose weight. Yes, if you do the program, guaranteed you will. But if you never turn the video on, the weight loss program won't work for you. Same thing here. You get 20 pages of PDFs from my current #1 Best Selling Audio Mastering Book on Amazon.com. From setting up your listening environment, my graph of solutions to common problems, how to master different genres, to how to correctly set your song volumes, this course is packed with valuable information. You can spend 100 hours on youtube looking for free videos and half the information in my course, you'll never find it anywhere! And, even better, you won't get any "wrong" information from my course either, that will ruin your project. So, how much is my course? Includes my step by step mastering session videos of live mastering sessions of 10 songs. 1 Hard Rock, 3 Rap/Hip Hop songs, 1 EDM, 1 Chill EDM, 1 Pop Dance, 1 80s Rock, 1 Pop Alternative, and 1 Santana-ish. Note - The audio mastering secrets courses and PDFs are lifetime access. I charge $39 to master ONE song. For only $34, I master 10 songs in the video, and show YOU how to master your ENTIRE ALBUM! You Can Also Order My Best Selling Music Production Books! Hello my name is John Rogers, owner of JR Mastering. 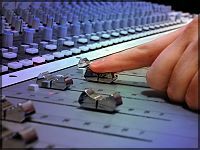 I’m one of the most successful online mastering engineers, having worked with over 7,500 highly satisfied clients on over 40,000 songs since 1999. During my career I’ve worked with a handful of Grammy nominees, several songs I’ve mastered went top 5 on the European billboard charts. I’ve mastered hundreds of songs for movie soundtracks, and for DJs who played them in clubs all over the world. My debut book, Audio Mastering Secrets, is one of the first audio mastering books on the market that focuses entirely on “How to master audio to radio quality standards,” all from the comfort of your home studio. No expensive gear required to get amazing results! I also have a video series that will teach you how to master your style of music in under TWO hours! Note - If you're looking for someone to mastering your songs (and don't want to learn yourself), visit my website JR Mastering. It focuses on how to master audio, how to become a great audio mastering engineer, and how not to be a bad one. I don’t get into the specifics of brands of gear you should buy, the history of audio mastering, 1,000’s of compressor settings (of which maybe 40 you’ll ever use), or a dozen pages on how to sound proof your room. If you’re looking for that information, there are several other books on the market that explain those topics very well. In audio mastering, you will face common problems like a mix being too thin, tinny, distorted, over-saturated, muddy, or not bright enough. Sometimes you can’t get the song loud enough, boomy enough, no separation, too much bass, no sparkle, and many other problems. I explain in detail which effects processors to use and their exact settings to solve these common problems. This is a great tool to refer back to when needed. In this book I work with up-to-date software and a digital DAW system, using current audio mastering techniques for this day and age. I show you how to get great mastering results using your home PC, DAW and plugin software, and basic hardware. No expensive old-school equipment required. Not entirely on theory, what I learned in school, what I heard from some other engineer, etc. I’ve mastered over 40,000 songs for over 7,500 highly satisfied clients. Why is this important? 1. Because I know the techniques and secrets that I’m teaching work very well! The proof is in the thousands of positive email testimonials I’ve received. 2. 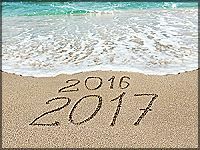 I also know which problems and situations arise very often, and which ones never happen at all. Knowing this allows me to focus only on what you will actually experience when working on an audio mastering project. Someone who hasn’t worked with a large number of customers won’t even know what areas to focus on. You will learn the 18 steps I take in the audio mastering process. From importing your file, down to loudness maximization and finally exporting a perfectly mastered song! Here’s where I break down the sonic qualities of sixteen different genres. How much brightness, bass, boominess, compression, etc., you’re trying to achieve for each genre. And several tips on what clients are looking for. This is a great tool to refer back to if you don’t know the sonic qualities of all the different genres very well. 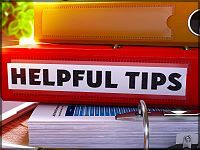 In this section, I cover a series of do’s, don’ts, and facts that basically apply to all audio mastering jobs regardless of genre. I also cover several pitfalls you will experience (just like I did) as an audio mastering engineer, and how to get through them. After reviewing hundreds of masters and re-masters from other online studios, I’ve found that most sound engineers don’t know how to properly use compression. A lot of them never use it at all! This causes their songs to break up badly during loud playback. In this book, I cover everything you need to know about compression in audio mastering. I eliminate 95% of the needless threshold/ratio combinations, which makes the entire process much simpler. In this section I cover calibrating your speakers, learning your speakers, speaker placement and room size. And, the myth about soundproofing your room. The basics of what they all do, how to use them, when to use them, and my initial settings templates. I cover a handful of important must-know facts if you’re working with clients. Why lose jobs learning on your own (trial and error). Learn from my past mistakes! I left out all the high-tech jargon and rarely used words that slow down sentence flow. I want everyone to learn how to properly master audio, while not having to try and figure out what I’m trying to say! Ha! 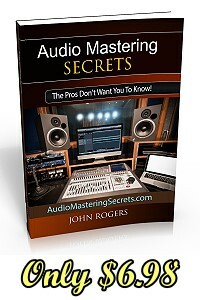 In this book I cover audio mastering FAQs, definitions, concepts, and procedures. I also talk about working with sonic qualities, A/B comparison, working with 4-BAND processors, creating headroom and dynamic range, evaluating the mix, protecting your hearing, EVERYTHING I’ve learned in the last 17 years! In a matters of weeks, you can learn all of the audio mastering secrets, tips, and techniques that took me over 17 years to learn! Or with my video series, learn in only TWO hours!! If you started audio mastering and learning on your own this year, by 2034 you might learn everything that’s in this book and video series. Ha! 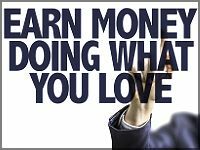 Why not just make a small investment and start learning right now!